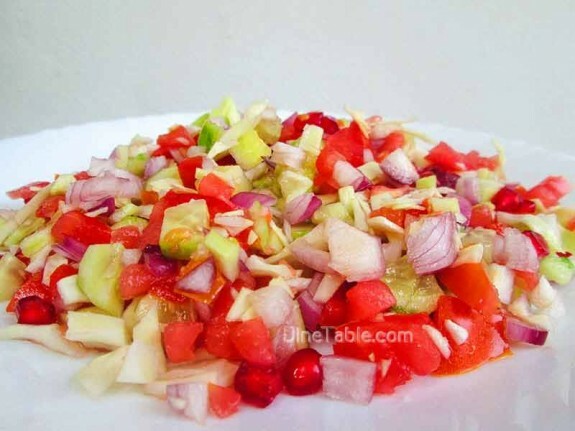 A refreshing salad that combines juicy tomatoes and crunchy cucumber with a splash of lemon juice. 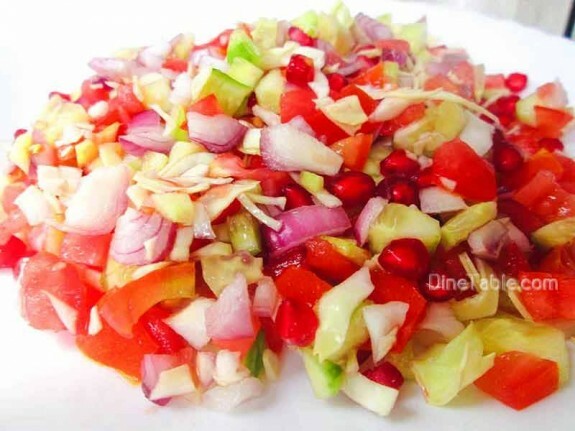 Simple, quick and healthy mixed vegetables and fruits salad. 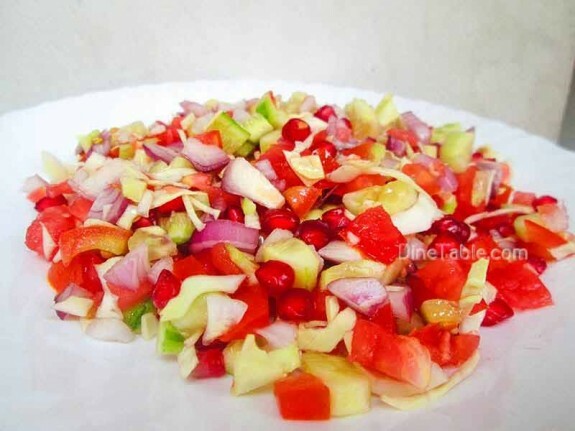 Try out this salad that is perfect for a warm summer day. 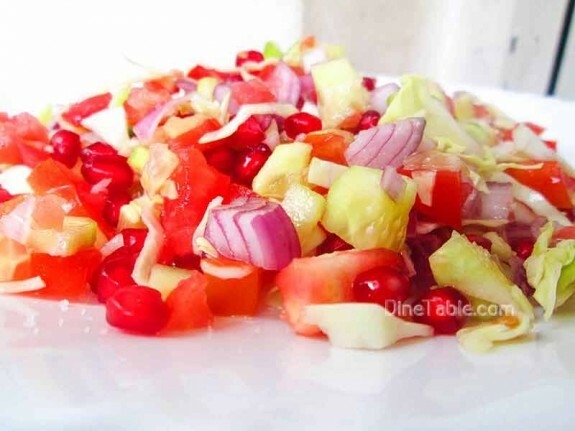 Salads composed from even a few ingredients make a nutrient-rich meal. 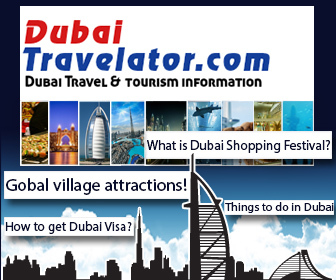 Eating raw fruits and vegetables will keep you feeling better, look more fit, become healthier and live longer. Eating a high-fiber diet can help to lower cholesterol levels and prevent constipation. 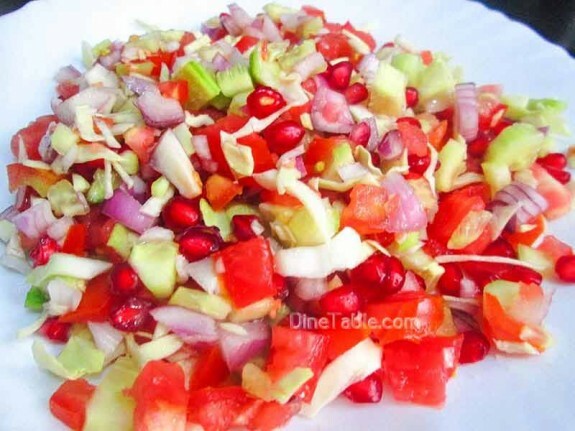 Click here for other simple and healthy Salad recipes..
Add the chopped tomato, onion, cucumber, cabbage and pomegranate seeds into a large salad mixing bowl. Add lime juice, pepper powder and salt into it and mix well. 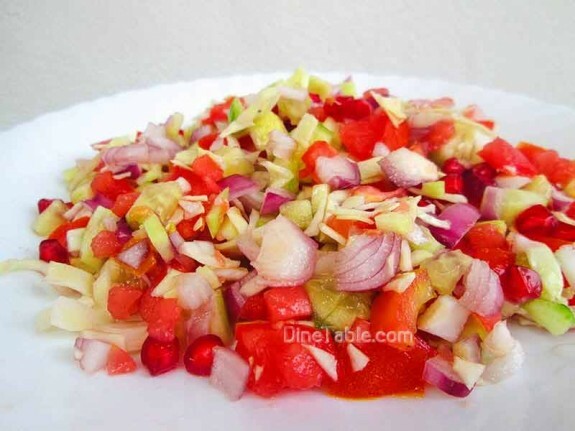 Tasty Cucumber and Tomato Salad is ready.